I really enjoyed this cooking class where everyone had participated in each dish. We were 4 and our instructor Nhi was kind. She gave us some cooking tips! After the market, she also let us try a Vietnamese sweet. The food was tasteful and I appreciate the fact that we can leave with a book of the recipes we cooked. 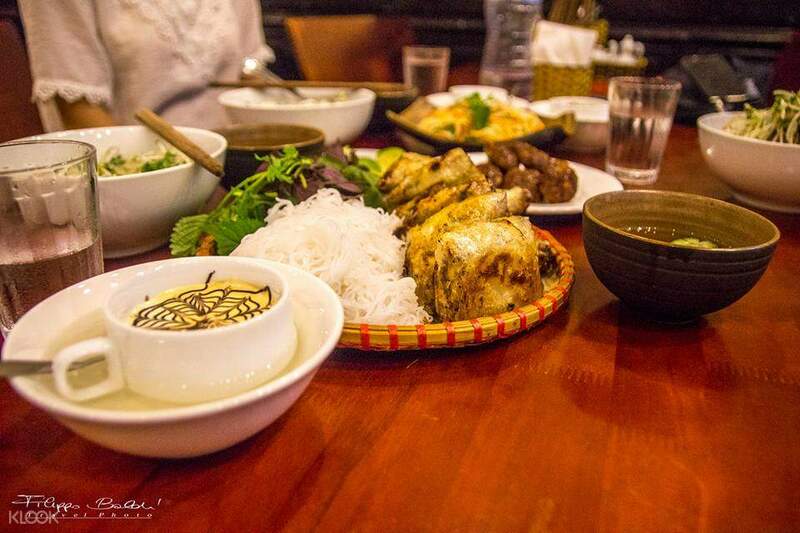 Discover Vietnam in the most delicious way possible by taking the time to learn some of its most signature dishes. 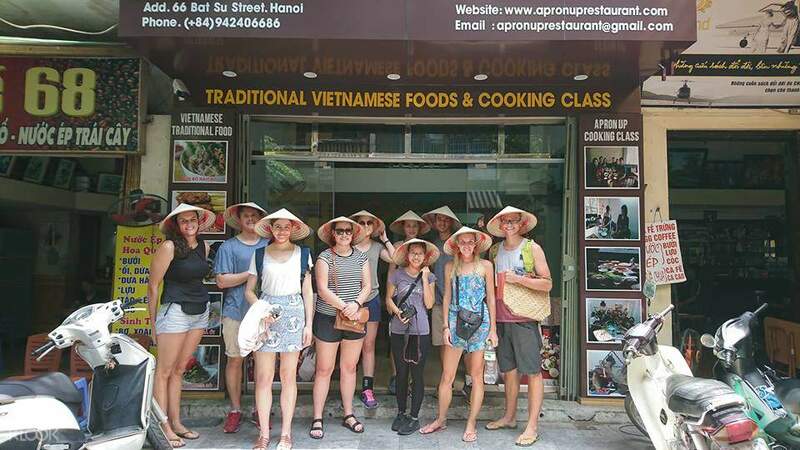 Take part in a cooking class while in Hanoi and learn about Vietnamese culinary culture and traditions. Famous for its balanced mix of spices, lightness and a varied use or vegetables and herbs, Vietnamese cuisine is considered to be one of the world's healthiest. 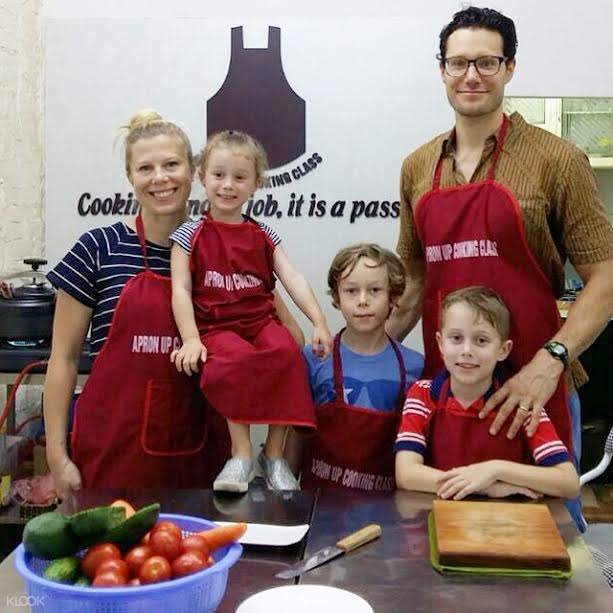 Pick up the tips and tricks you will need to recreate delicious organic dishes at home and cook under the guidance of an expert chef. 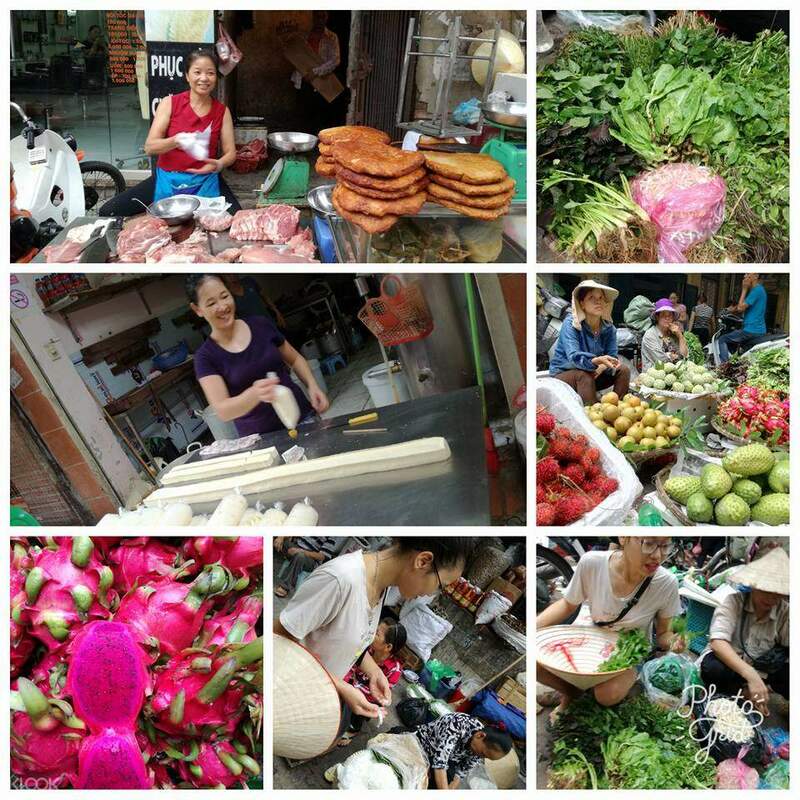 Start the experience with a visit to a local market to pick up only the freshest of ingredients and then head to the kitchen to recreate some of Vietnam’s most iconic delicacies. When done, taste your culinary masterpieces and get a complimentary cookbook and certificate after class. I really enjoyed this cooking class where everyone had participated in each dish. We were 4 and our instructor Nhi was kind. She gave us some cooking tips! After the market, she also let us try a Vietnamese sweet. The food was tasteful and I appreciate the fact that we can leave with a book of the recipes we cooked. I really enjoyed this cooking class where everyone had participated in each dish. We were 4 and our instructor Nhi was kind. She gave us some cooking tips! After the market, she also let us try a Vietnamese sweet. The food was tasteful and I appreciate the fact that we can leave with a book of the recipes we cooked. Didn't think I'd enjoy the cooking class as much. But glad I joined! Awesome instructor and got to meet new traveler friends with stories to tell. Also learned a lot of secret ingredients of Vietnamese cooking. How patient you need to be when cooking their dishes. Didn't think I'd enjoy the cooking class as much. But glad I joined! Awesome instructor and got to meet new traveler friends with stories to tell. Also learned a lot of secret ingredients of Vietnamese cooking. How patient you need to be when cooking their dishes. I just know that I am the only one student when arrived and feel surprised that they havn't asked me to change the time slot which I feel so warm. The teacher and trainee are nice. Food are delicious. I just know that I am the only one student when arrived and feel surprised that they havn't asked me to change the time slot which I feel so warm. The teacher and trainee are nice. Food are delicious. 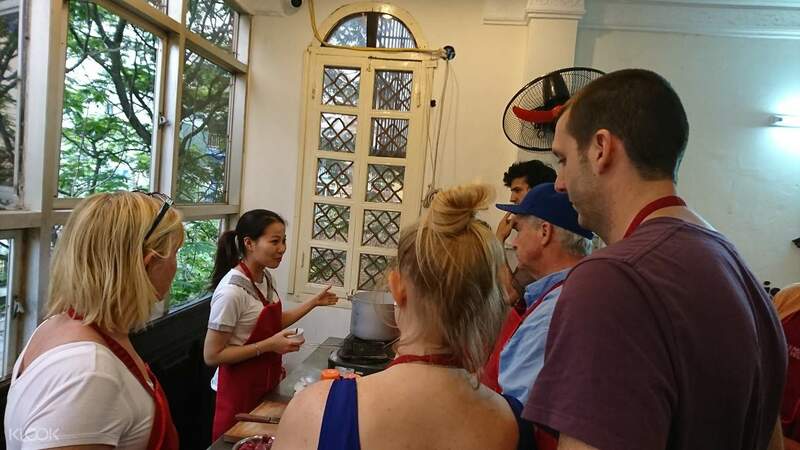 Fantastic time in Hanoi learning how to cook Vietnamese food. We started by heading to the market and learning about what we needed to buy. Afterwards, we headed back to the kitchen to begin our cooking. Our teacher was incredibly fun and knowledgeable. Afterwards we ate all our cooking, which we couldn’t finish (I recommend going very hungry there). All in all a really fun time out and highly recommended! Fantastic time in Hanoi learning how to cook Vietnamese food. We started by heading to the market and learning about what we needed to buy. Afterwards, we headed back to the kitchen to begin our cooking. Our teacher was incredibly fun and knowledgeable. Afterwards we ate all our cooking, which we couldn’t finish (I recommend going very hungry there). All in all a really fun time out and highly recommended! We just had a small group, only three, but the experience was fun! Making the dishes requires a lot of time but there were a lot of cooking tricks and techniques new to me that i could definitely use on my own personal cooking. Plus, Miss Nhi is a great teacher. I really enjoyed the fun talk we had while eating the food we made. We just had a small group, only three, but the experience was fun! Making the dishes requires a lot of time but there were a lot of cooking tricks and techniques new to me that i could definitely use on my own personal cooking. Plus, Miss Nhi is a great teacher. I really enjoyed the fun talk we had while eating the food we made. 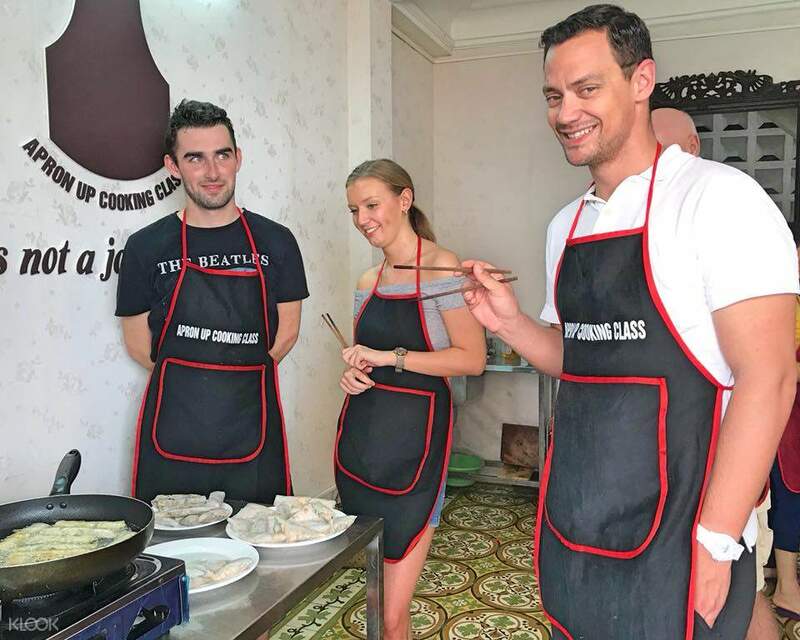 The cooking class was very informative and gave us alot of cooking techniques, after the instructor is well versed in English. The cooking class was very informative and gave us alot of cooking techniques, after the instructor is well versed in English. Vegetarian friendly. Simple dishes but tasty like any other street food you'd find in the streets of Hanoi.Our instructor Vic made sure all of us made effort to each dishes. Overall a nice experience to try if you like the food in Vietnam. Vegetarian friendly. Simple dishes but tasty like any other street food you'd find in the streets of Hanoi.Our instructor Vic made sure all of us made effort to each dishes. Overall a nice experience to try if you like the food in Vietnam.